In previous articles I’ve made no secret about my frustrations with Dust 514. The most painful part is that it held such promise, and the vision laid out for the game made it sound amazing. Instead of taking the time to build the game right, CCP focused on selling us on a vision; not an actual product. I remember watching the Fanfest 2012 Dust presentations and being impressed by that vision. The features pitched made the game sound revolutionary. Recently, I watched the presentations again and come up with a list of ten heavily discussed features that have yet to be added in-game. Currently, the only type of planets that fights take place on are temperate planets. With nine different planet types in the EVE universe, there is no shortage of planet types to draw upon for new maps. Weather, gravity, and the local environment could all significantly change the way Dust is played. Lava, gas, and ice planets were announced specifically to be included in an expansion in 2013, with screenshots shown in presentations and the idea that vehicles would be required to move around explicitly mentioned. Dust did receive a map update last year that included some snow on temperate planets, but it is a far cry from what was originally announced. One of the very few Dust things that made the gaming news sites was the announcement that the PlayStation Vita would get its own application to interact with your Dust character. Taking advantage of the Vita’s mobility, you would not have a need to be at your PlayStation3 to deal with the market, learn new skills, send and receive mail, chat in different channels, or change your fittings. It was also announced that the app would have its own starmap. Announced to arrive sometime in 2012, the companion app still hasn’t been released. The feature that garnered the second most applause (just behind the orbital bombardment) was the announcement of the Gladiator Arena. Intending to support the growing eSports movement, the arena would be viewable in both the Dust and EVE clients. The crowd went nuts when it was announced that you could bet ISK within the clients. Stated to be released in early 2013, one of the biggest letdowns to date is the absence of the Arena. One of the biggest questions about Dust heading into Fanfest 2012 was if there would be PVE content in the game. 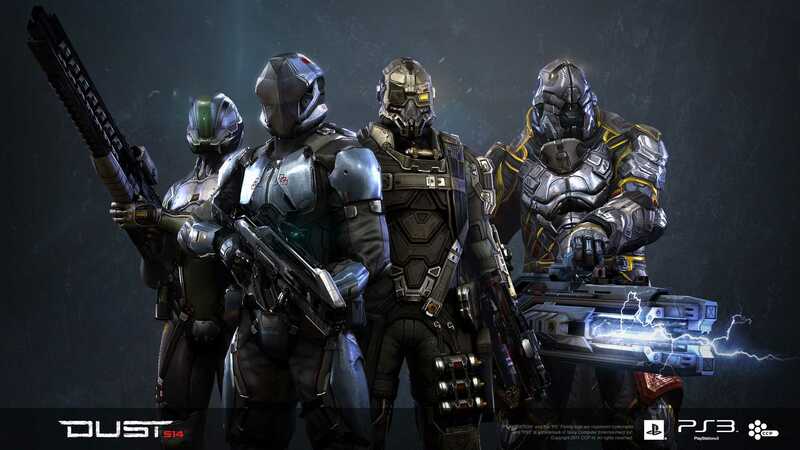 It was announced that PVE content would be added sometime in 2012, and that it would feature a small team of players defending outposts from rogue drones. 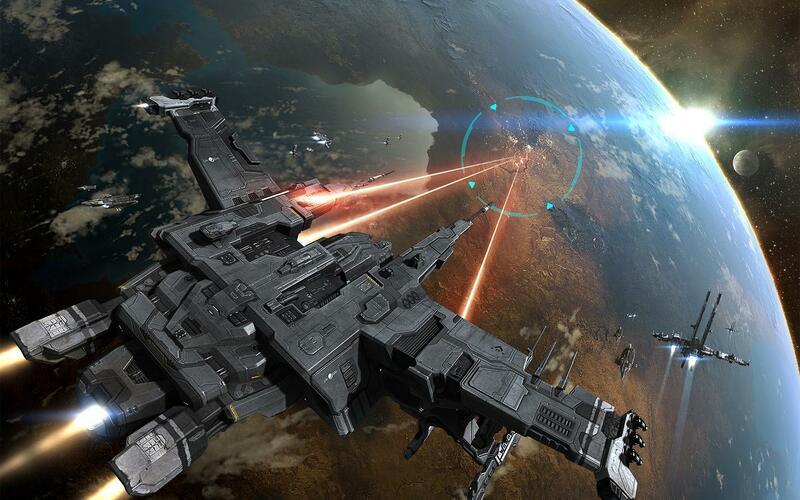 Dubbed the “Survival” game mode, it would feature ISK payouts as well as looting and salvaging. Two years after that announcement, the game contains no PVE content. Hundreds of tanks are destroyed every day. Tens of thousands of dropsuits, modules, equipment, and weapons are lost in a single week. Yet not a single item in the Dust side of New Eden is manufactured; it is all generated and sold in NPC markets. CCP made clear their intention to have the Dust industry controlled by the players. Two years later there is still no content for anyone interested in Dust industry. One of the most frequent player asked questions was how the Dust and EVE economies would interact. The EVE players were excited to hear that their ISK EVE-side would be transferable (though subject to high tax rates), negating the necessity to grind ISK in two different games. CCP later changed their minds and, in order to prevent EVE ISK from crashing the Dust economy, decided to kill the link before it went live. Another major announcement coming out of Fanfest 2012 was the announcement that Mech suits were being developed and planned for a 2013 release. A year later at Fanfest 2013, former Dust Executive Producer Brandon Laurino said that Mechs were still in development. Two years after the announcement, Dust remains conspicuously void of mechs. During Fanfest 2012 (prior to the beta), matches in Dust were limited to 48 players. CCP stated that they wanted matches to scale and that match sizes would increase. However, the match sizes for the beta decreased to 32 players and have not seen an increase yet. The 16v16 fights have become very stale and many would rather see fewer public matches that are larger in size. One item that was discussed was the creation of killmails for Dust Mercs, allowing players to see the fittings of their victims. Detailed combat logs were also discussed. A version of killmails did finally enter the universe, though unfortunately they were only for EVE pilots who kill Dust players through orbital bombardment. One of the core backend services discussed was that Dust would save all player movements and actions. With the ability to view past fights and enemy movements, you could learn from more experienced players by watching their actions. It was also suggested that they wanted the ability to trade that data in the game, potentially creating a market for matches. Of course, there were other things discussed, too. War barges, commander mode, MCC fittings, orbital launch codes, etc. With as many features that have been talked about the last few years, I doubt we’ll ever see a fraction of the things CCP laid out in their vision for the game. It’ll be interesting to see what’s in store for Dust at Fanfest 2014.